It would be an understatement if I said I was ecstatic and counting down the minutes until Tuesday's dinner. My friend had recently switched jobs, and as a result his office moved from downtown core to the south end of town near Heritage. This change resulted in him having to drive to work on a daily basis, as well as forced me to lose a lunch buddy. After a month or so, we were finally able to schedule a dinner. With his new found commute, the possibilities were endless when it came to picking out a new restaurant to try. 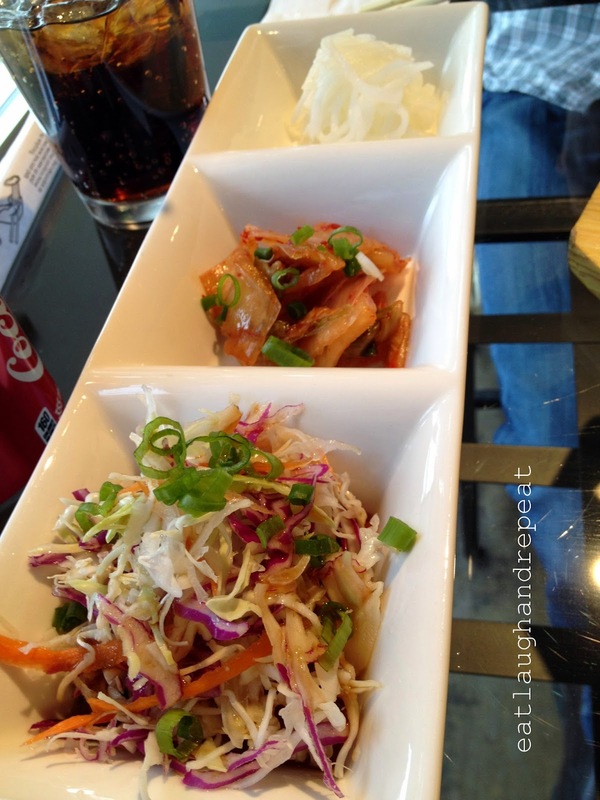 I began scouring Urbanspoon like a mad woman, trying to find high rated restaurants in locations that were out of the way and/or in the deep south of Calgary. I couldn't pass off this rare opportunity with just any restaurant. 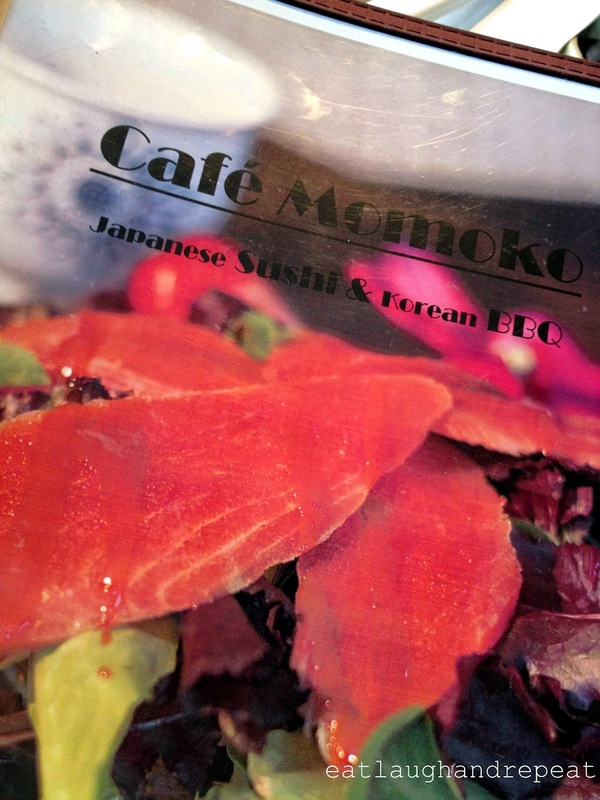 After narrowing down to a handful of choices, we settled on Cafe Momoko based on its high rating as well as the fact that it was found in section of Calgary that we would seldom go to. Upon entering the restaurant, my first impression was that it was coozy and a fairly new restaurant based on its decor. Although it was a small restaurant that could seat approximately ~20 people or so, it was by no means a cramped up restaurant. 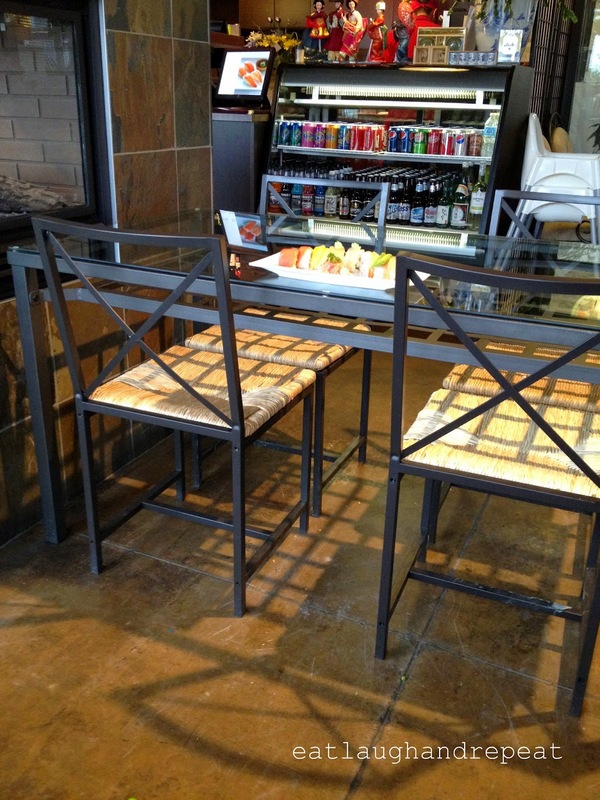 There was more than adequate spacing between tables to ensure that elbows and shoulders of neighbours wouldn't bump into each other. Finally, we were able to place our order. 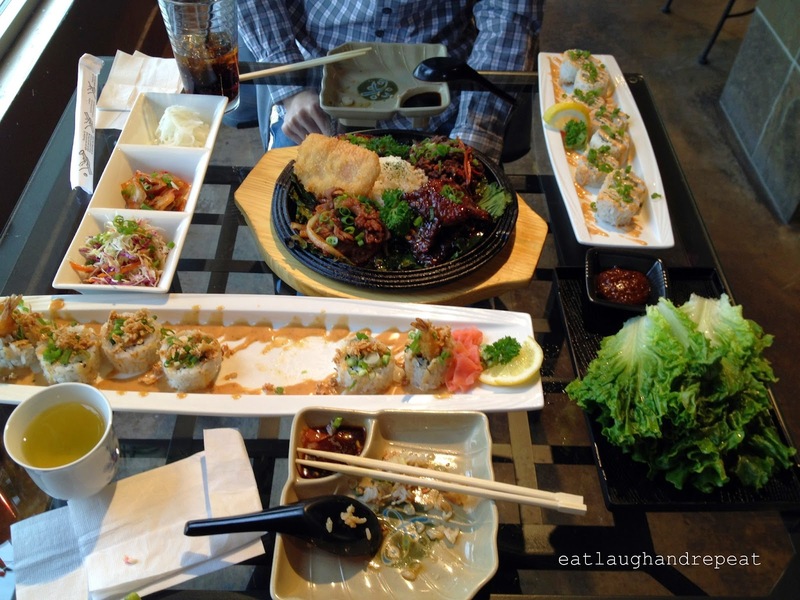 We had decided on an extensive list of dishes that even the owner asked if we were sure we wanted to order everything. We told him that we were aware it was more than we could handle but that we wanted to try as much as possible too. The night was quiet; I only saw one party of 2 sit down shortly after us and another customer coming in for take out the entire night that we were there. With that, our food came out at a rate that was too fast for our eating abilities. I am not a huge fan of tempuras, but this was very nicely done. The batter was not oily and was in fact very light. It did not cover the taste of the vegetables, as I find most tempuras do in an attempt to disguise "old" vegetables. 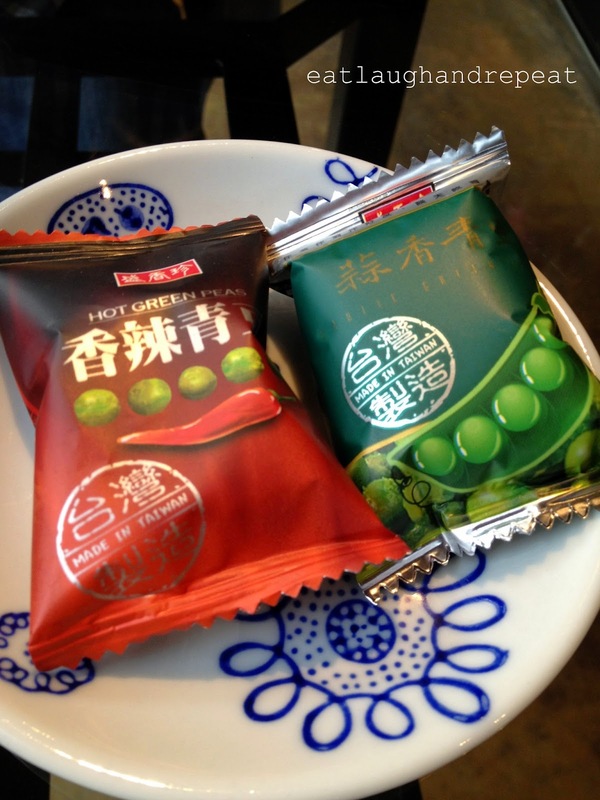 The snow peas and green bean was actually very fresh tasting. I have to be honest and admit that I never order salad at a Japanese restaurant unless it contained some type of fish in it. 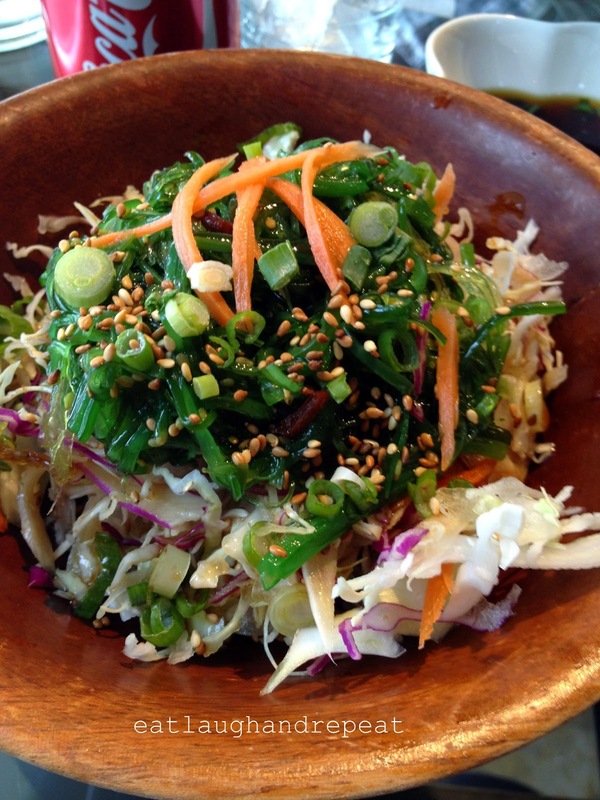 Other than that, the only salad I ever eat at a Japanese restaurant are salads that come as a part of a set meal. My friend made a point to want to order this as he has made it his ritual to always start his Japanese meals off with a seaweed salad. I was glad he did because this is a perfect dish to get your appetite stirring. This cold salad was refreshing and nipped the taste-buds to want more. Underneath the seaweed was a coleslaw which differed from what my friend was used to; though he was undecided on whether or not he liked it. What we both agreed upon was that the sauce (a mixture of what appeared to be sesame oil, soy sauce and *insert other ingredients*) was [addictively] tasty and caused us both wanting more. When it comes to ordering sushi rolls, dynamite roll is not the first roll to come to mind, nor the second. However, I was open to trying it once the owner told me that it is their most popular roll. 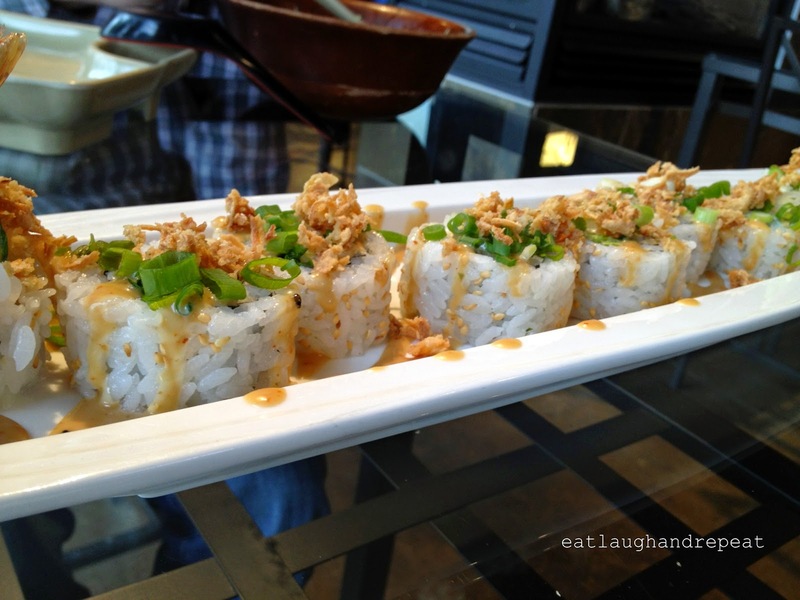 I was happy to see that the rolls were topped off with a generous helping of green onions that catered to my liking. The rolls were crunchy with each bite from the shrimp tempura and fried onion. Although this roll was good, I don't think it converted me into a fan of dynamite rolls. When the spicy tuna roll arrived, I was surprised by how large the rolls were. Even though the spicy tuna roll was found under the “Maki Sushi” section of the menu, I thought we had made a mistake and ordered from the “Giant Roll” section instead. 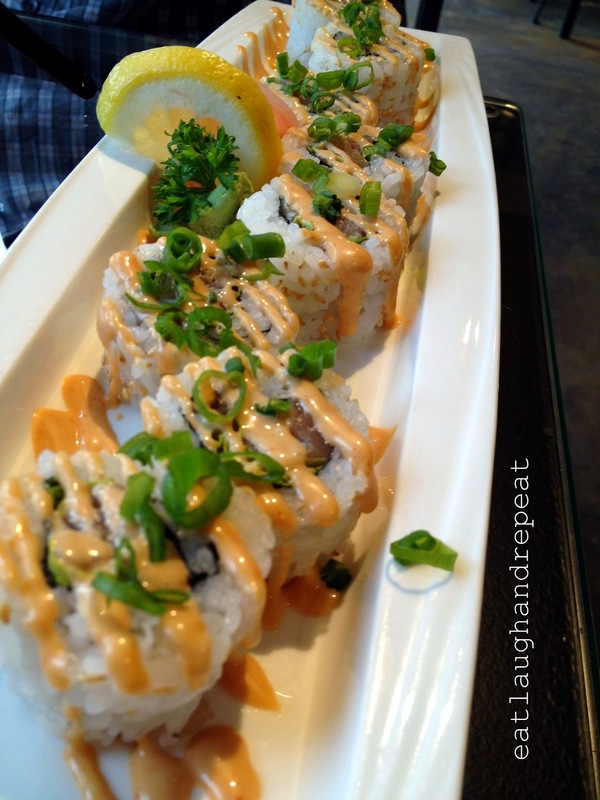 It was huge and not the typically sized spicy tuna maki rolls that I had in mind. The tuna was served at a cool temperature (I hate it when raw fish is served room temperature) and in what I considered to be a large cut for it being a maki roll. The spicy mayo sauce could have been spicier though. Having only ordered from the Japanese side of the menu and uncooked food so far, we wanted to experience their Korean and cooked dishes as well. We opted for the All in One Special Korean BBQ dish which included beef, spicy pork, chicken, and short rib as it was priced at $21.50 versus the other bulgogi dishes which ranged from $15-$17.50. For an extra few dollars, we were able to sample a larger variety of their Korean BBQ meat. 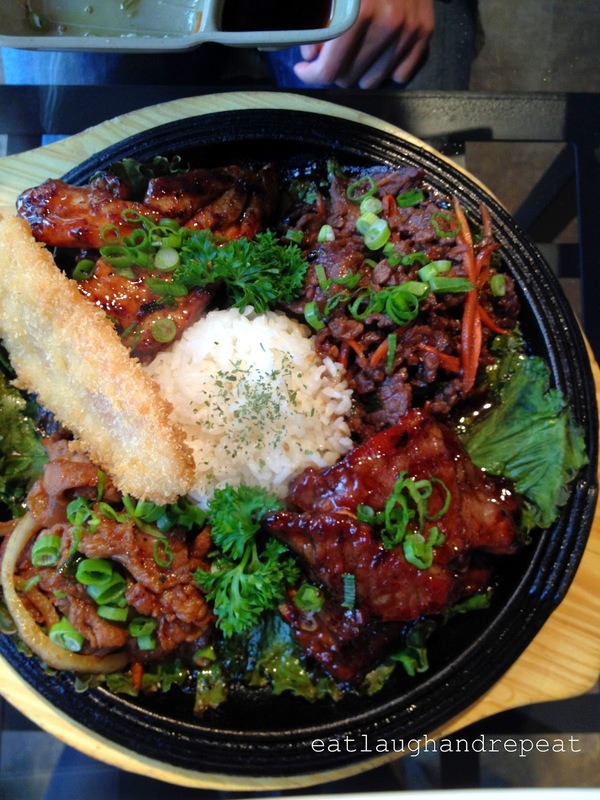 All Korean BBQ dishes come with a vegetable tempura, Korean side dishes (Kimchi, Asian Salad and Radish), fresh lettuce, and steamed rice. I could tell the All in One Special came straight off the grill and onto the hot plate as steam was seen rising. All the meat looked succulent and any carnivore would’ve been happy at the sight of the plate. The meat was flavoured very well with Korean BBQ sauce and was very tender. The only meat that did not win our favour was the chicken. It was dry but only in comparison. Our BBQ plate came with a yam tempura, my favourite of all vegetable tempuras. Luckily for me, my friend doesn’t like yam, so I got to have the whole piece to myself. Like the previous tempuras that we got to sample earlier on in the night, the yam tempura had a nice light batter as well. 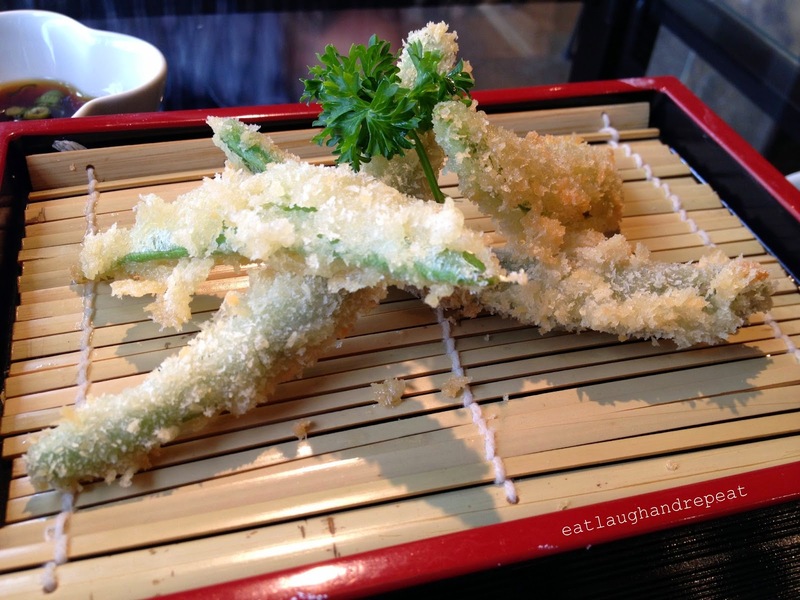 It seems as if Cafe Momoko has skillfully perfected their tempura-making techniques. I would recommend those who visit to order a tempura dish. Unfortunately, by this point, my friend was too full to have tried this. I made a weak attempt at the tuna and avocado pieces, though I regretted having done so because I was too full to have appreciated it for what it was. For this reason, it is probably fair not to make a comment on taste. The presentation on the other hand was wonderful. It seems Cafe Momoko is very generous on its portions. I cannot mention enough how wonderful the service was. The Korean owner (this is assumed based on a conversation I overheard between the owner and whoever was working in the kitchen, as well as the numerous Korean MVs that were constantly being played out on the TV between English MVs) was very humble and genuine. He came over every so often to check up on how we were doing, if our drinks needed refills, if we needed more lettuce for our wraps, etc. But it wasn’t to the point where it could be deemed annoying. He kept asking how the food was and every time that we told him it was delicious and everything was great, he would modestly say thank you and bow slightly in a very appreciative manner. Having spoken with the owner, we found out that Cafe Momoko started off as a cafe (hence their name) but was later changed to restaurant (not sure of the reason). Cafe Momoko is currently in their 2nd year of operation, with the upcoming September marking their 3rd year. Though the owner meekly admits that they are still struggling (which makes sense as a restaurant that has only been operating for 2 years can still be considered a baby), I can see that Cafe Momoko has a very strong and loyal customer base. 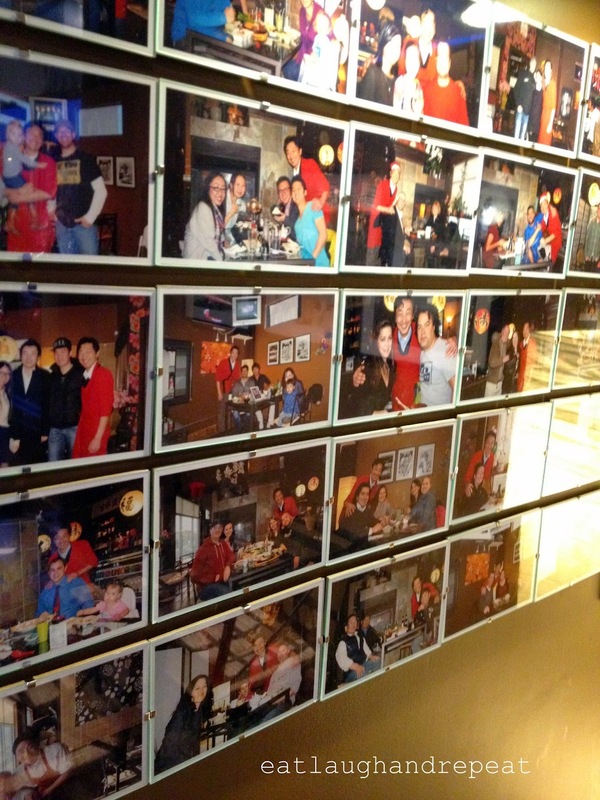 On the side of their wall, the owner has posted up numerous pictures taken of himself with his customers that have been supporting him since the start. While looking at the wall, the owner proudily told us the names of his patrons and the inside jokes and stories that he shared with them. Hearing all of this made me feel really warm inside, knowing that there is someone who is passionate about what he does and is extremely grateful for the relationships that he has formed with his customers-turned-friends. The food was delicious, and although it may not be the best that you can find in Calgary, the service gets big two thumbs up (three if I could). 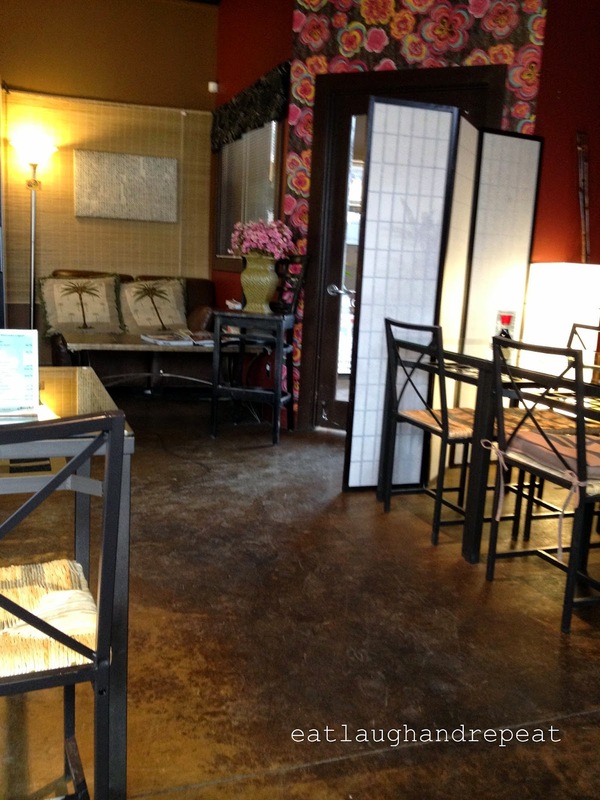 Cafe Momoko is by no means close to my home, but I will definitely return, and hope to do so on a regular basis. Tip: Even though the restaurant was empty for our visit, I would suggest calling ahead to make reservations if you plan on going on Fridays/Saturdays as the owner has told us that it is always packed on those days.